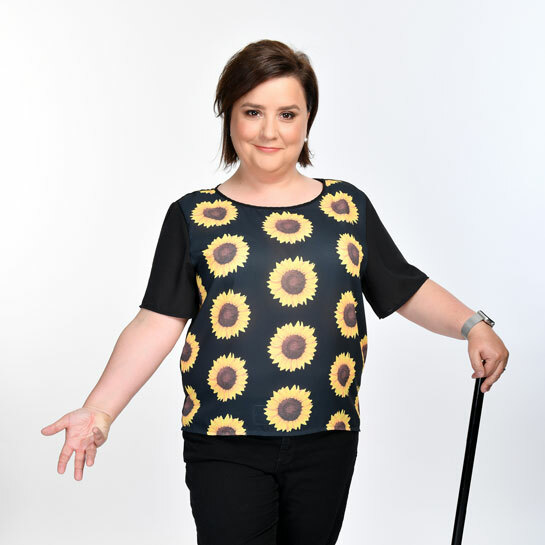 Susan Calman enchanted us all with her enthusiasm for dance during Strictly Come Dancing 2017! Cheer Up Love, Susan's first book, had a clear aim: to help people understand depression. Sunny Side Up has a similarly clear path: to persuade people to be kinder to each other and spread more joy. These are extremely difficult and confusing times - people are cross and shouty. It's exhausting! But more than anything, people like Susan, people who don't hate other people, are apologising for the way that they think. Susan wants to make sure that they don't. She wants them to know that it's ok to love people and that kindness is something wonderful and brilliant. Above all, she wants them to bring on the joy. So the mission is simple. To get the nation to join her in not being negative. To bring back joy, kindness and community, to find that joy in the little things in life and defeat the hate and fear.